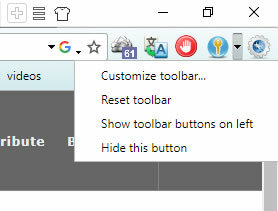 You can add buttons onto the toolbar by dragging buttons from left to right. 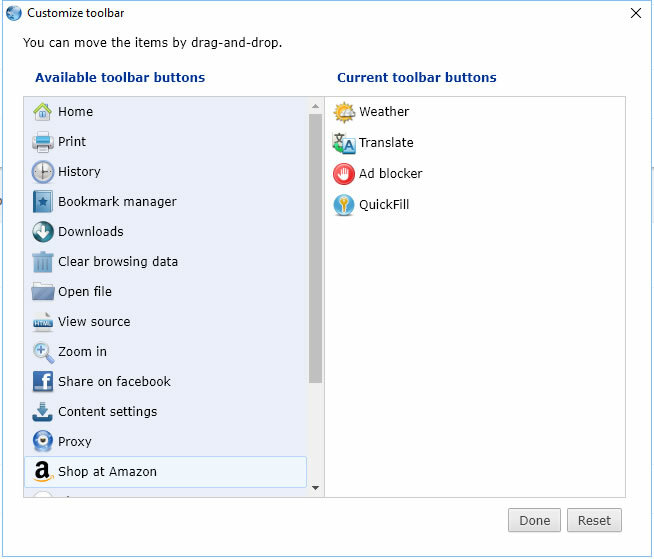 You can remove buttons from the toolbar by dragging buttons from right to left. You can reorder the buttons by dragging them up and down on the right side.